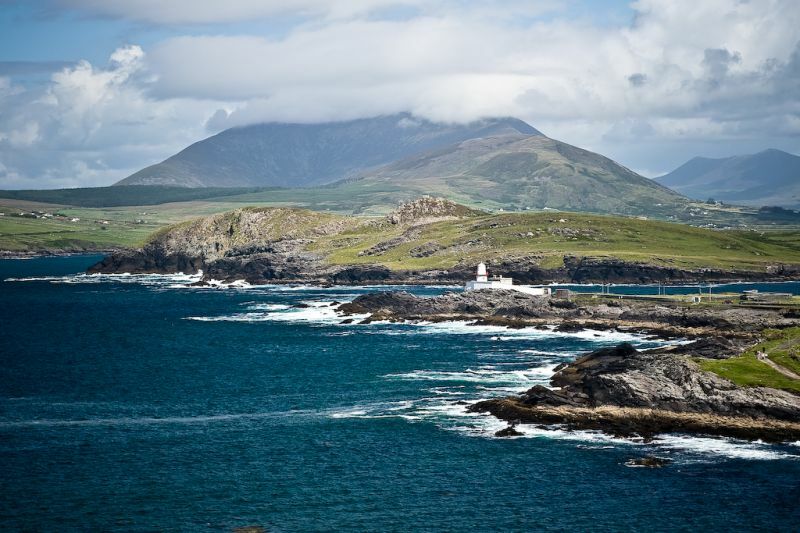 Valentia Island in county Kerry. Was there back in August 2007 after being invited down by a boards member who is also a regular visitor to the island. I can see why. Need to get down there again soon. Having spent the last few hours cleaning up my lightroom catalog, I dug into the archives for this one. It’s here both in anticipation of an upcoming trip to Kerry (first in a long time) and to remind Danny that we’re all thinking about him. Get well soon! The water is just lovely! Exquisite in fact. The white capping off the waves is striking. Thanks Ryan! I\'m still serving sentence at the pleasure of the HSE here in the Mater. Things look like they may have finally been sorted. Another two weeks will tell. Photography is well buried in the back seat unfortunately. Hope you are keeping well!